"A Blast With Both Barrels Blazing!" When his men betray and murder him, a frontier outlaw makes a deal with the devil to return and get bloody revenge on his former gang. 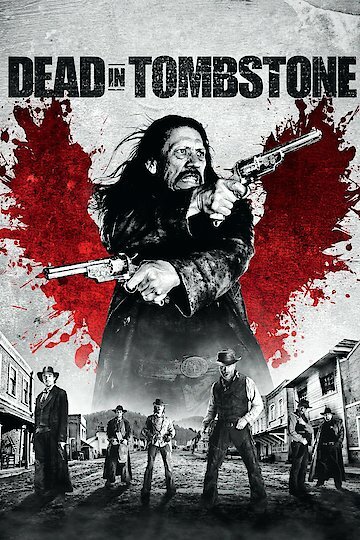 Dead in Tombstone is currently available to watch and stream, buy on demand at Amazon, Vudu, Google Play, FandangoNow, iTunes, YouTube VOD online.